Ever see those fancy high-end Video intros, Slideshows, Presentations, and Promos etc. and wonder what a fortune they would cost? I did too, and I was wrong, dead wrong. That’s what this Renderforest review should help you out with. So when I needed a video intro for my Youtube channel (an idea I later dumped), I went on and did what anyone else with an Internet connection would do, Google for “Free Video Intro creator”. Renderforest showed up on the third result or so. How did it go is what I’ll walk you through in this Renderforest review, note that I at no times am stating, or will state that Renderforest is the best Video Intro creator, or Logo maker, rather I’ll just share my own experience, and get you a completely transparent and honest insight into the platform’s features. Is it worth your time and money? (If you don’t use its free plan) That’s a decision I’ll leave up to you educated folks. Let’s get on with this Renderforest review then? What can be Created with Renderforest? The very first question I’d like to include in this Renderforest review is, what are the types of videos which can be created with Renderforest. Short answer? Anything which can be used to promote your brand, or educate your audience. Long answer? 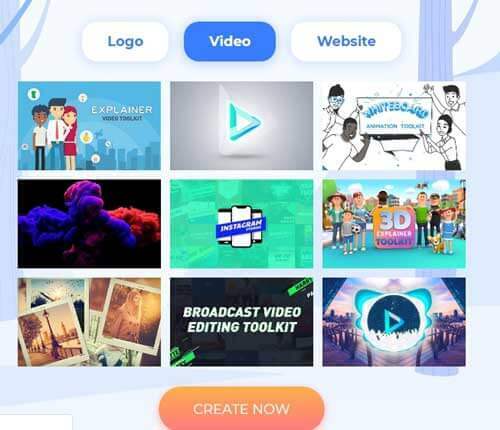 It specializes in Intros, Outros, Trailers, Logo animations for Youtube or other purposes, Professional Mobile App videos for promotion and functioning insight, Music Visualization videos, Professional Slide Shows regardless of them being for a personal purposes (surprising your better half?) or public (corporate presentations). 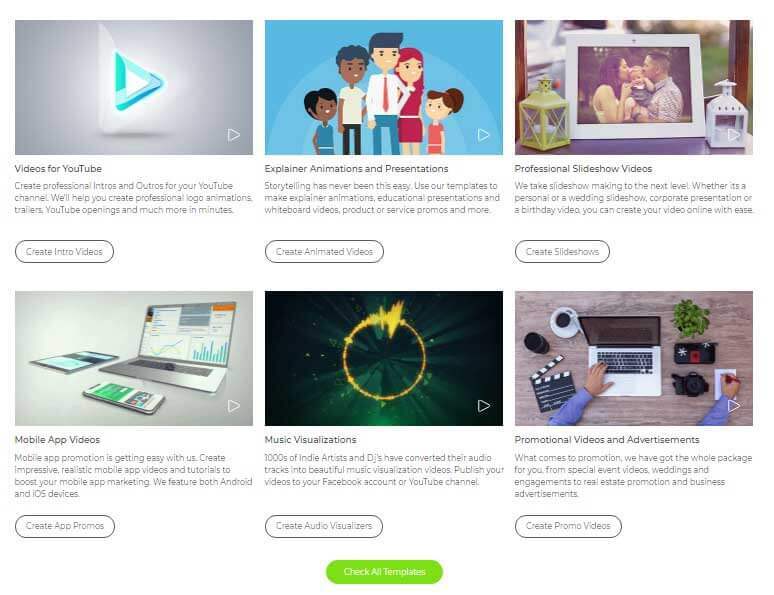 They’re not done, they also let us create explainer animations and presentations which again can be used for Youtube channels, corporate meetings or for anything else you see fit. When it comes specially to “Promotion”, they’ve included wedding videos, real estate promotion, business intro/explanation videos to name just a few of the possibilities. Other available options include creation of advanced cartoons, Advertisements, Infographics, Social Media videos, Whiteboard videos etc. My verdict on the possibilities? They’re extensive, and all inclusive so I’m pretty happy so far. This section is just an introduction of the website, how well-designed or easy/hard it is to understand for newbies. The homepage has a simple “Get Started” button, which when clicked takes us to a beautiful yet simply designed interface and presents us with three options, “Videos”, “Logos”, or “Website”. I chose Video > Create now. The next page is filled with video templates to choose from. As is evident, everything is self-explanatory on the page. (Complete, step by step guide on the same in later sections). Apart from that, it has a top-bar which has options such as Make Logo, Create Video, Design Website, Pricing, Support, Blog etc. Pretty easy to understand options. 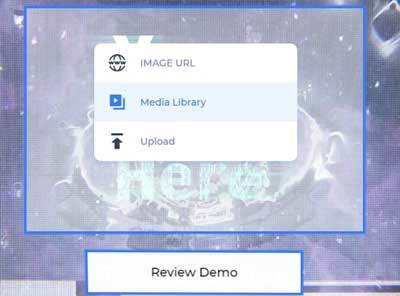 The homepage too (can be reached by clicking on “Home”) has a section with all the Video types which can be created as mentioned in the earlier section of this Renderforest review, simply choosing a type from there is another way to land sooner on the video templates of your choice. This was just the welcome page and the homepage, so far I didn’t see a single option or button which was hidden, misplaced, hard to find or just “not available”. I’m satisfied, although more details and insights into the actual video-creator UI in the later step-by-step guide section. This is one of my favourite parts about using Renderforest. It already has a ton of templates made for each video type, all I had to do was choose one. These templates are basically pre-made videos, which can then be customized to suit your brand or company, the whole templates thing reduces the time required to create a video by gazillion times. It subtracts the need for a lot of creativity, with the tons of available options you can simply preview all of those and select the one according to your taste or requirement. 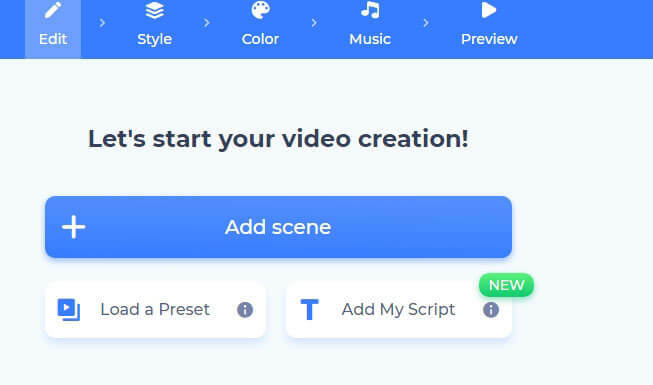 The create video page has a bar with all the video-types which can be created, and each type has a number of templates which can be chosen for the videos. For e.g. 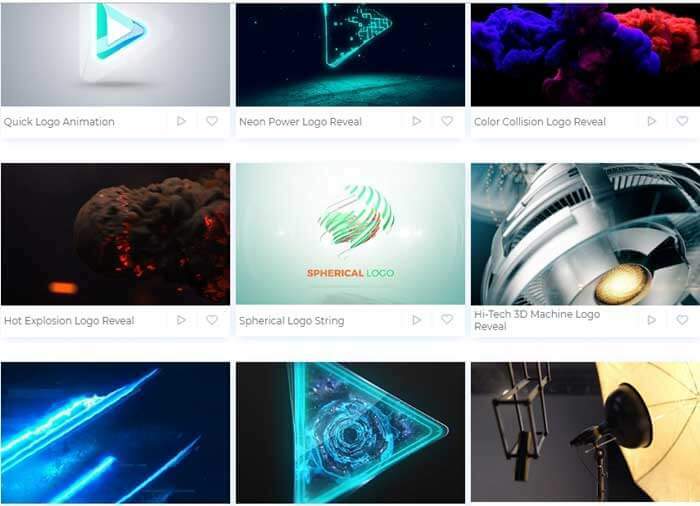 in the above screenshot I went with “Intros and Logos” and then it gave me the option to choose from 3D logo Reveals, Holiday Logo Reveals, Dark Logo Reveals and so on. The same holds true for all the other types as well, such as Slideshow has Personal, Greeting Cards, Baby, Real-Estate to name just a few of the available templates. Promotional too has templates which include Video Editing, mobile app promotion, Movie Trailers, Typograph, Christmas etc. Bottomline? It’s everything I wanted on my first day of trying to create a video for my channel. How to Create a Video using Renderforest? Finally here’s the step by step tutorial I’ve been talking in the earlier sections, it’ll help you understand the ease of the process I experienced along with the time and other elements required during the creation of one such video. A general notion is, such high-end videos would need a lot of graphic skills, training, creativity and so on. Renderforest proves that statement wrong, and its user-interface is honestly as easy as any newbie like me could imagine on his first day with such a platform. Let me just state that, I had absolutely 0 experience with video creation prior to Renderforest, and even then it took me less than 5minutes (literally) to get my Intro video all done! So once you go to the homepage (https://www.Renderforest.com/video-animation), you’ll be required to choose the type of video you wish to make. I’m going with “Intros and Logos” for this demonstration. Then you’ll be presented with the different available video templates for the selected video type, choose the one which interests you the most. I’m going with “Space Rings Logo Reveal” for now. The next page has a description for the selected template, such as what it stands for, duration time and so on. Simply click on “Create now” and then finally you’ll land on the actual creation page. As is evident from the screenshot above, simply click on the “Your Logo Here” box (is available on all the templates and types) to upload your company/brand logo. The image can be uploaded using either of the three options which are direct upload, upload via link, or using the media library (Facebook, Google Drive, DropBox). You can also optionally add a text to the video using the text box provided. It’s all done! Simply click on the “Preview button” on the top bar, and then select either “Buy High Quality” or “Free Preview” option to get a sneak-peak into the video you just made for free. So in a nutshell, the whole process requires less than 4 clicks, Create Video > Choose Type > Choose Template > Upload logo and text! Done! (Wasn’t kidding about the “done in less than 5minutes thing). The above section only showed how a professional Intro, Trailer or Outro can be made, but Renderforest is capable of much more than just that. For e.g. it lets us create Whiteboards, Infographic videos and Cartoons too among other things, the level of customization abilities and its available stock library is what I’ll review in this section. Each video template has pre-included scenes in the 100s, the platform claims to have over 100,000+ stock videos which can be included in your projects, 3D characters, and even Royalty-free music. Anyway this is what the initial cartoon-creation page looks like, the “Add Presets” button when clicked takes us to a page which will have 100s of presets (templates, pre-made videos) which can be used, or individual scenes can be added using the “Add scene” button. Once it’s done, users get to decide if they want a 3D, or a flat character, the transition effects from one slide to another, ability to change colours of the slides and texts, and then even choose from hundreds of Royalty-free audio files which can simply be used in the videos without worrying about licenses or extra costs! If that’s not enough, they also let us add “Voiceovers” to make the videos as personal as possible. WhiteBoard animations too are equally easy to make and follows identical procedure as described above. You not only control the narrative, but each individual scene, character, sentence that appears, the music as well as the voice. In my personal opinion, there couldn’t an easier, or even a more fun way to create such advanced and professional videos with as many customization abilities as Renderforest provides. Anyone who has worked with Ms-PowerPoint would feel at home (I surely did) when it comes to video creations on the platform. This is what comes once the video is all done, Renderforest offers two types of download capabilities, free download, or a paid one. The free version lets you download and use the video for your purposes, although it offers a low quality video and the video will have a “Created using Renderforest.com” watermark on it. The watermark can be removed, and higher video qualities can be downloaded using the paid plans. There are two types of paid plans, single download plans or subscription plans. Single download plans are for those who only need to use Renderforest for a single time, or not as frequently. However, for frequent users Renderforest offers its subscription plans. 720P X 5 Videos /month- USD $14.00 monthly. 720P X 20 Videos/month- USD $29.00monthly. 1080P X 20 Videos/month- USD $39.00monthly. 1080P X 50Videos/month- USD $49.00monthly. Payment can be made using a variety of methods which include Credit cards, Paypal, American Express, Debit Cards etc. Let’s conclude this Renderforest review, but not without peeking at its Logo Maker. It’s an additional service the platform offers which lets us create logos in a fizzy! It has a simple interface where you let the platform know the text you want the logo to relate to, and the purpose or a description. It then uses its A.I and machine learning capabilities to carve out something for you. It offers some bold style to choose from and then gets us a logo in seconds. Let’s be honest, there wasn’t a lot of “creativity” in there simply because it’s an A.I and not a human so it doesn’t know exactly what you wish to represent, but it sure had professionalism and beauty embedded to its core. Also, the A.I is smart enough to include keyword-related icons to your logo so that amps up its game quite a bit, although the icon can also be manually changed. The customization abilities alike the customization with its video creation tool are at their peak, you can change the font, colour, icon, icon-colour, size and everything else that shows on the logo. And finally, the tool also shows you how your logo would look like on invoices, documents, Teeshirts, stickers or even cups! My verdict? If you need something fast, and it has to be professional enough; Renderforest may just be the guardian angel. So that’s a wrap as far as this Renderforest review goes folks. If I have to pen down my own verdict for this Renderforest review, I’d say I personally am in love head over heels with its video creation abilities. The sheer amount of templates and variety available is awe-striking, and the ease of use is what makes it even more approachable. But that’s just what I think, do let me know your two cents on the platform, as well as this Renderforest review in the comments.